We’ve been rated the Best Spa on TripAdvisor and Yelp, and our happy customers from around the world have shared these amazing and instant benefits that people experience after a massage session. For many of us, the ultimate relaxation experience includes a day at the spa. Massage. Soak. Facial. Healthy Food. It’s a time to slow down, give your body some much-needed attention and reconnect with your deeper sense of self. In a relatively short period of time, you can experience the mental and physical benefits of massage including relieving stress, improving circulation, easing muscle tension, feeling happier and more fulfilled. According to Psychology Today, massage is one form of physical touch that allows couples to feel more connected and able to easily overcome conflict. But we don’t need the experts to tell us we feel better when we take time for ourselves. When you practice self-care and enter into a space of nurturing, you have more patience and nurturing to give. Fill your cup, so can then navigate life’s challenges from a centered, grounded place. After a stressful day, we don’t always take the time to relax and relive the tension. In fact, this chronic stress is not just a result of overusing our bodies. Emotional stress is one of the biggest culprits. Communicate: let your therapist know if there is any music, pressure, heat, scent or sensitive areas that should be avoided. No request is unimportant! Be sure to drink plenty of water afterward. This will help flush any toxins released from your muscles during the treatment. We all get in a rut from time to time. Negative thoughts. Busy schedules. Stuck in the same old routine. Changing things up creates an opportunity to experience life in a whole new way. Take advantage of the mind-body connection and connect with an expert who has dedicated their career to the gift of healing touch. What you arrive on the grounds at Ho’omana, you notice right away the genuine beauty of the land. Walk in the door and feel right at home, literally (the spa was created from a Hawaiian living space). There is a reason we have over 300 5-star reviews and named among the best spas on Maui. At Ho’omana, we see ourselves as Ambassadors, charged with spreading the arms of Aloha around the globe. One of the quickest roads to inspiration is to spend time with inspiring people. Find a spa and connect with someone who inspires you. Being mindful means to be aware of or conscious of something. Take time for yourself on the massage table is a beautiful opportunity to practice being aware of this-present-moment. Your massage therapist begins by opening a sacred space for healing. This is an invitation to practice mindfulness message. Focus on the parts of the body being worked on and appreciate them to the fullest. Ongoing mindfulness may even help make changes in your brain that help you to better cope with stress, even when you’re not on the table. In a recent study, doctors at Cedars-Sinai Medical Center in Los Angeles found physical contact may lessen depression, lower blood pressure, and even improve immunity. You can begin to receive the benefits of touch in just a few minutes per day. In fact, they noticed biological changes after a single massage session. We all know that massage feels good. Now, we have the science to give us another good reason to make time to spa. Aloha is at the foundation of all Hawaiian values. At Ho’omana this guides the way we create the hand-made organic products we use in the spa. The foundation of Aloha directs the way we interact with one another. We meet our guests as ambassadors of Aloha. One of the chants we share is E aloha kakou-we are loving. At Ho’omana, we had an Aunty from our local community come to get Lomi Lomi. After her session, she said, “I feel so good right now. I really enjoyed the healing prayers that you chanted and it made me think about how I felt when I came in here. I spent the morning nagging at my husband and being really crabby with my family. Now after the massage I feel so relaxed, my body feels so good, the pain that I was having in my hip is gone and now I want to go home and take some of this Aloha with me. 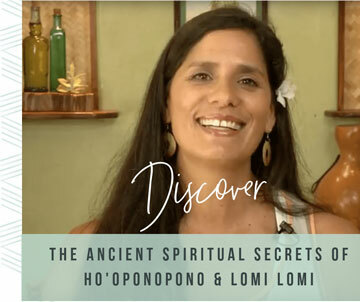 At Ho’omana, we are holding a loving intention for the highest good of each and every person that comes through the door. We envision the client in their wholeness, in their fullness beyond whatever illness or injury they come with. These intentions create space for clients to step more fully into the light of aloha that each and every person carries inside. So when you are looking for the Best Spa on Maui, we hope you find a space to experience the amazing benefits of massage that truly feels Aloha.